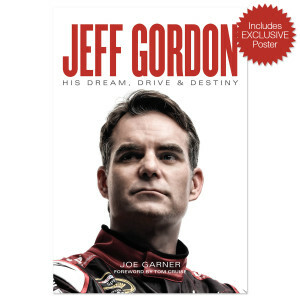 Jeff Gordon: His Dream, Drive & Destiny is a New York Times best seller! 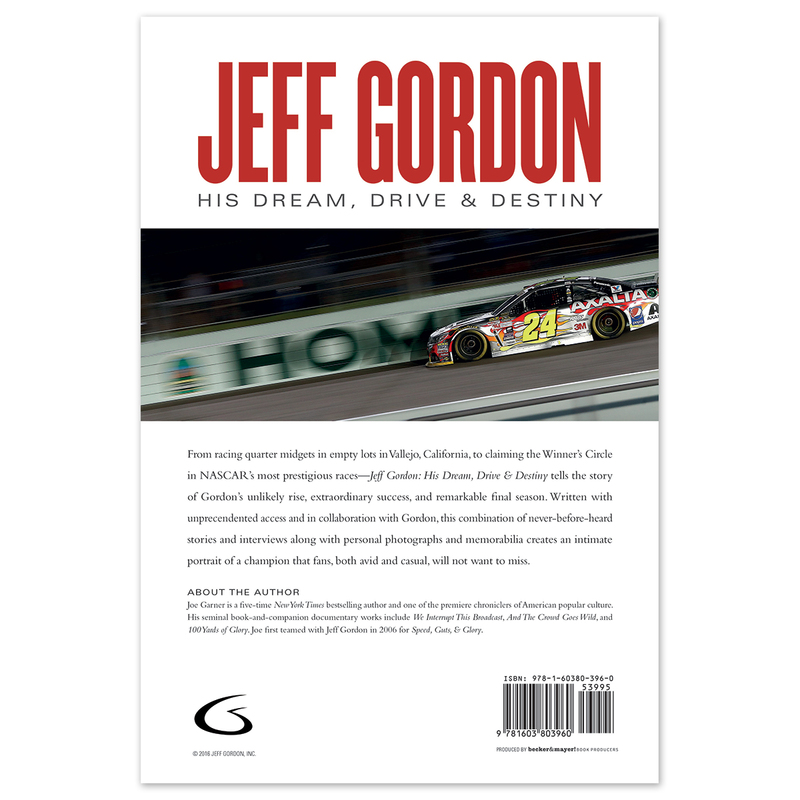 EXCLUSIVE – Those who order the book directly from JeffGordon.com will receive exclusive bonus material delivered digitally that will not be available anywhere else! The exclusive bonus material will give behind-the-scenes insight into the making of the book. 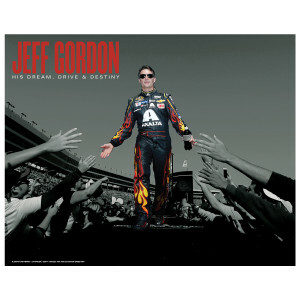 Additionally, those who order the book directly from JeffGordon.com will receive an exclusive poster included with their book! Six-time New York Times bestselling author Joe Garner has become one of the premiere chroniclers of America’s popular culture. With his seminal work, WE INTERRUPT THIS BROADCAST, he took publishing by storm, selling nearly 700,000 copies and hit the New York Times bestseller list in two consecutive years. He has produced several other bestsellers. His most recent New York Times and USA Today bestseller is 100 YARDS OF GLORY, about the greatest moments in NFL history, with Bob Costas. Gordon and Garner first worked together in 2006 on the multimedia book titled SPEED, GUTS & GLORY, about landmark moments in NASCAR history. 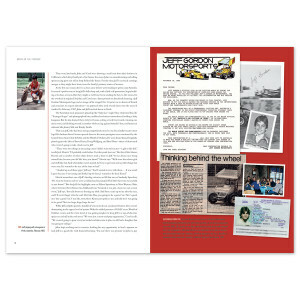 Gordon narrated the video chapters that accompanied the book. 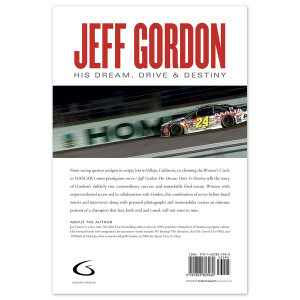 Love this book, if you are a Jeff Gordon fan, it is a must!!!!! Simply an amazing Race Car Pilot and gentleman. A must have for any Jeff Gordon fan. A look into the life of one of the best Nascar drivers ever. The good, the bad, and yes even the ugly, this book covers Jeff's life and career from A to Z. If you think you know Jeff, this will blow you away! Awesome! Awesome! Awesome! I laughed. I cried. As a Jeff Gordon fan, I already knew a lot of the information, but to relive and read the details of some of the things that were not so public was wonderful. Thank you, Jeff for sharing this book. We appreciate you, your wife, Ingrid, your children, Ella and Leo, Rick Hendrick, and your parents. We were sad to hear that you were not going to race anymore, but to extend your time to Nascar Fox as an announcer has helped us. I really enjoyed the book. Just finished reading my copy of "JEFF GORDON - His Dream, Drive &amp; Destiny". Man, what a fantastic book. There was a ton of information in there that I was not aware of before reading this. Absolutely the best book I have ever read. And I was also thrilled to see everyone mentioned in the ACKNOWLEDGEMENTS ... especially my friend Dan Guffey. The construction of this book is also top notch and I will be keeping mine on display on my desk here at home. Just want to take this opportunity to thank Jeff for the years of enjoyment watching him race and also for the chance for me to purchase one of these books for myself. I have been a major Canadian fan of Jeff's for years and will remain so for years to come ... no matter what endeavour he decides to undertake. My fan group "Jeff Gordon Loyal Followers" will also remain active as a tribute to Jeff's excellent list of achievements as well as to be able to follow him after his retirement from driving. Thank you once again Jeff and I will treasure this book forever ... and, when the time comes, it will be handed down to my grandson Landon, who is also a devoted Jeff Gordon fan ... even at the age of 10. I enjoyed every page!! What an awesome book. Very well done and so interesting!!! I learned so much about Jeff and his interesting and blessed life. I highly recomend this book to anyone who loves Nascar. Wish there were more photos, just loved looking at all the pictures, they are great!! Thanks for sharing your story. Love the book! Great addition to my collection. As a 25 yr fan this is something I've waited for. To get that look into Jeff's life like never before . I loved reading the book and getting to know all about the life of my favorite driver/announcer. It was very well written and didn't leave out any of the unflattering things! It was a great book about a great person.